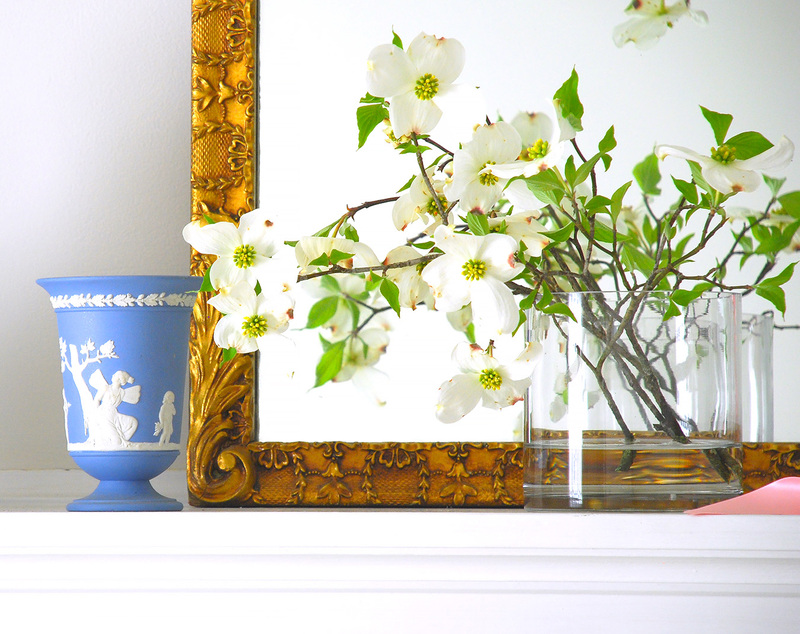 Bring spring inside with fresh dogwood blooms for a stunningly simple spring mantle. Dogwoods are truly one of the most beautiful flowering trees in my opinion. Their simple white or pink blooms are elegant, and I could not be more thrilled to have these lovely trees gracing my yard. They are in full bloom right now here in the South, and if you’ve been following me on Instagram, then you’ve seen me showing off these beauties in my front yard. As I was preparing to decorate my mantle for spring, I just couldn’t resist cutting a few branches for my spring mantle decor. 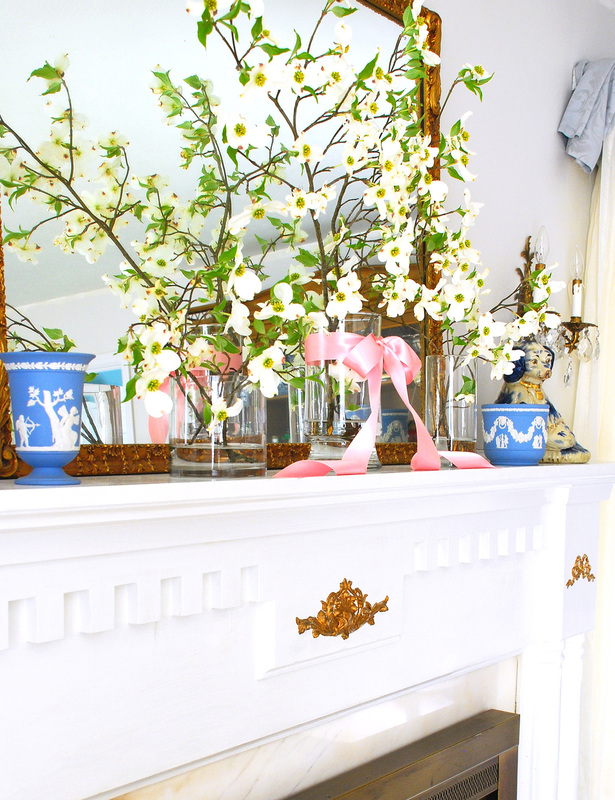 Just a few dogwood sprigs tucked in glass vases instantly brightened my living room for a beautiful, but simple spring mantle. I tied a pink satin bow around the central vase to amplify that spring feel. My Staffordshire spaniels were already in place on either side of the mantle, so I simply added a few pieces of Wedgwood to complete the look. 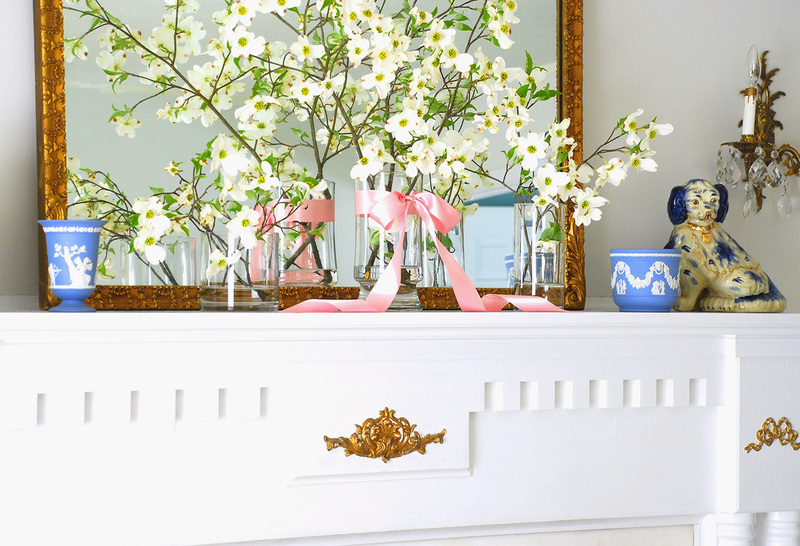 The pretty white of the dogwood blooms with the soft blue of the porcelain and pale pink of the bow create the perfect spring pastel palette. While the fresh dogwood blooms won’t last all spring, at 4 days out they are still looking lovely. To prolong my simple spring mantle, I will continue to switch out the vases with other spring flowers as they bloom in my yard. I’m thinking azaleas next! I might also break down and pick up a few faux flowering branches like these yellow bell branches or these cherry blossom branches. Bringing the outdoors in is one of the most effective ways to make seasonal decorating easy. Check out your yard or even your neighbor’s yard (with their permission of course) and see what strikes your fancy. Chances are you will find greenery or blooms that you can use as a centerpiece or mantle decor for an instant fresh spring look. 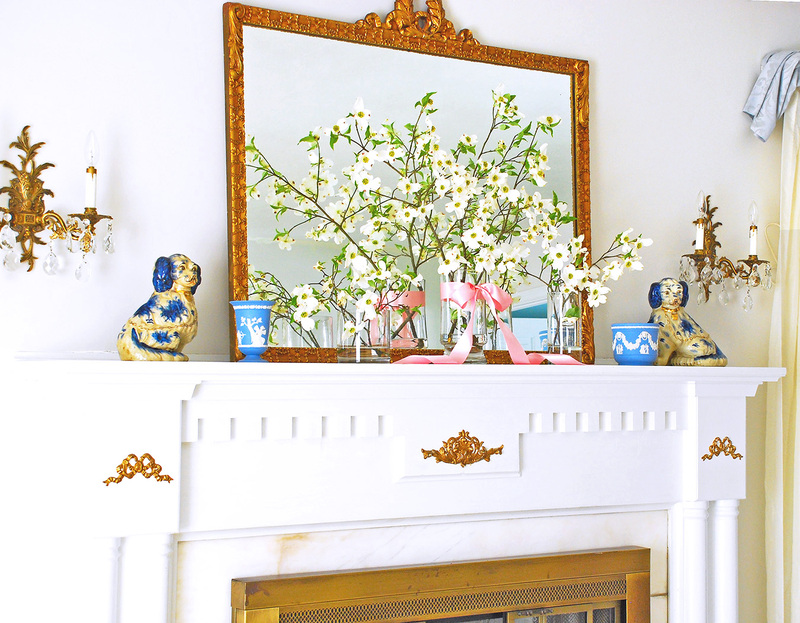 Your mantle is simply gorgeous and I agree , , , nothing prettier than dogwood blooms! Thanks ever so much! I wish their pretty blooms lasted longer! Dogwood blooms looks very pretty. 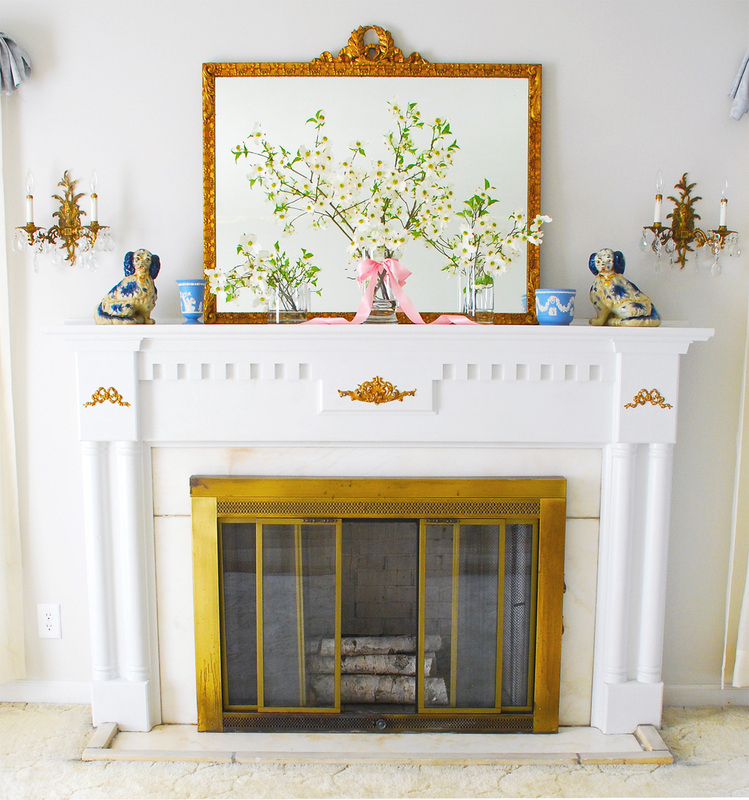 Nice choice for using dogwood for your spring mantle. It is simply looking beautiful. Thanks so much! They are so pretty!